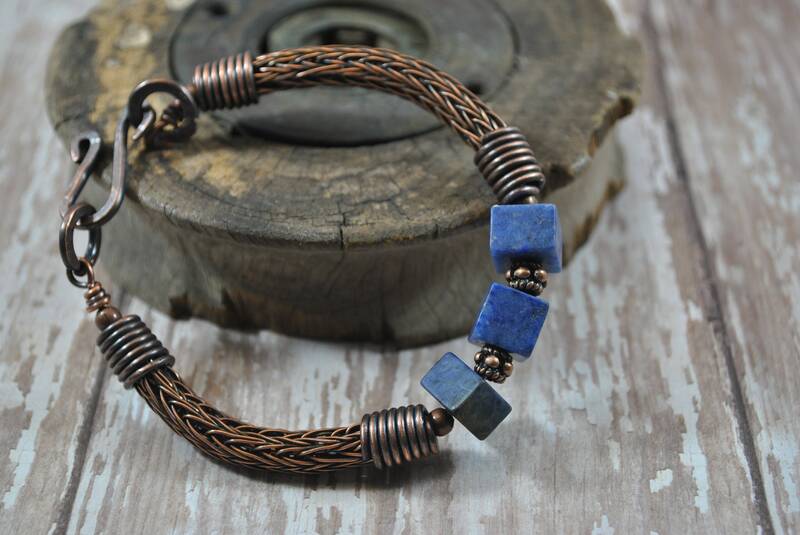 This lovely copper bracelet is created in a double Viking Knit. 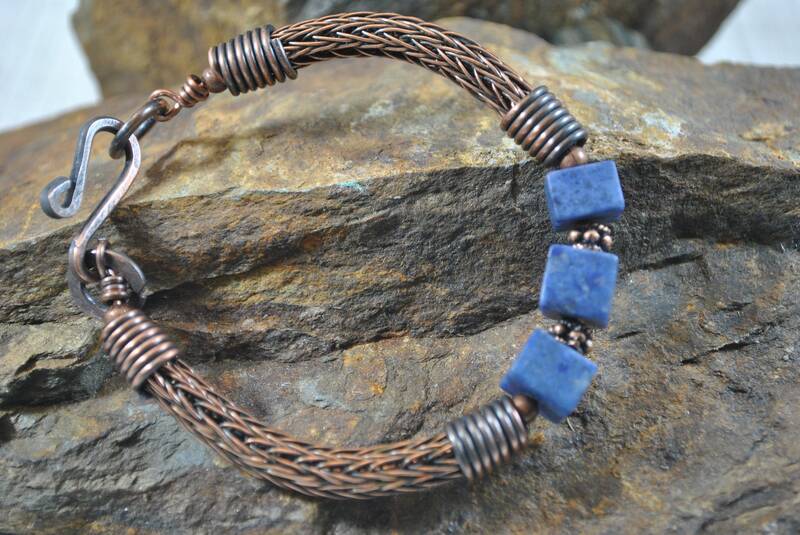 Viking Knit is an ancient Viking method used to make jewelry or embellishments by weaving metal wire to form surprisingly supple, yet, strong tubes. 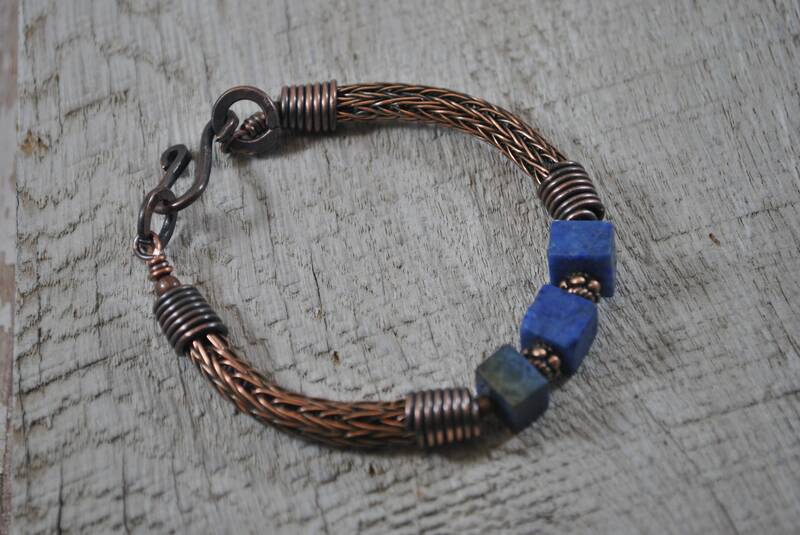 This bracelet is a more complex double weave which adds density and is visually striking, yet simple. 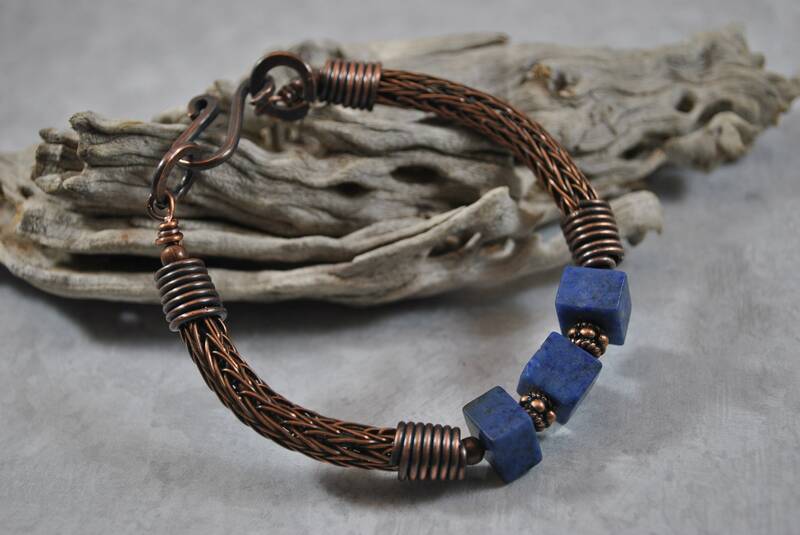 Beautiful blue Dumortierite gemstone beads accents the piece. The ends are finished with handcrafted copper end caps and a copper s-hook clasp.